Who was that who tried to come up on stage with Snoop , but got blocked? It looked like maybe Soopafly & Dj Jam. Did anyone else catch that? Snoop was talkin' about "Tha Blue Carpet Treatment"? 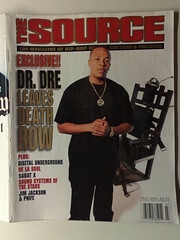 It had production from Dre. You're a troll, no need to act like you here to talk about music. These muthafuccin Tennessee boys. A bunch of know it alls. He's not from Tennessee nor do I doubt he lives in Tennessee. You really just need to shut your mouth.